This page is a collection of old signs and other nifty odds and ends found on the streets of New Jersey. 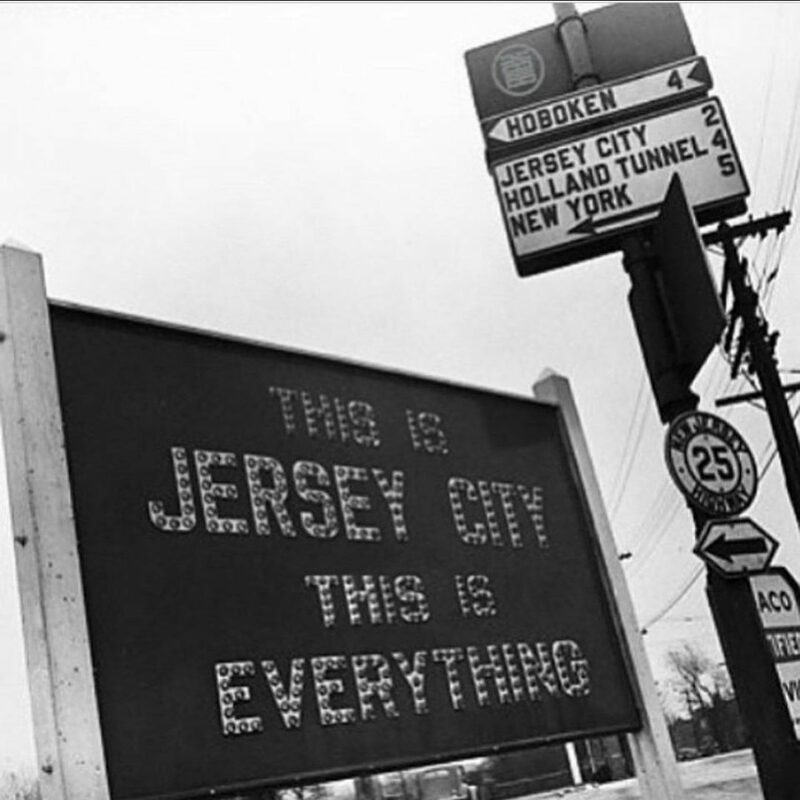 Entering Jersey City, one was met by some very cool signage in past decades. The cateye sign and the cast iron and aluminum signs in this photo are all quite tasty looking morsels to this collector! 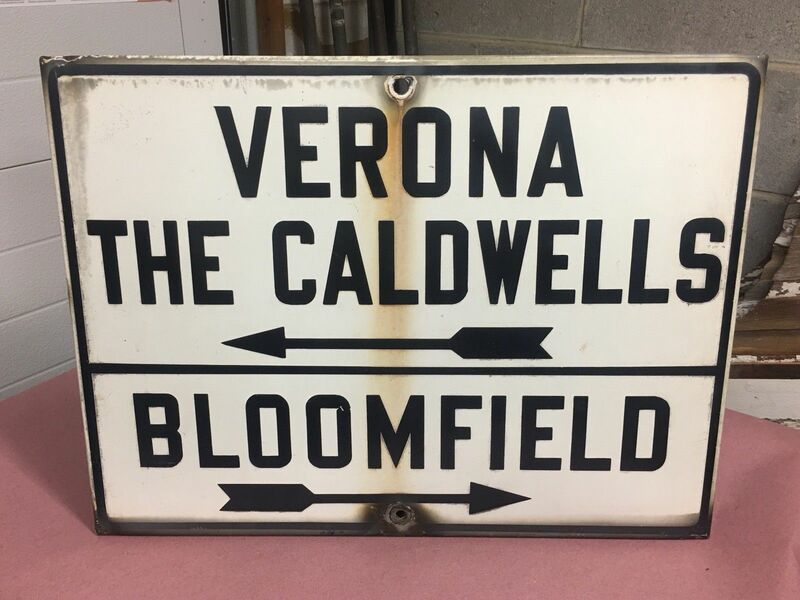 A 2018 eBay near-miss… a porcelain guide sign from Essex County that was sold a few miles from me. I remember seeing these at various Essex County intersections into the 1990s. This was the original design of the GSP shield in 1954. A rare piece that I’d love to have… Photo grabbed from eBay many years ago. I have never seen this style of GSP shield in any other photos. 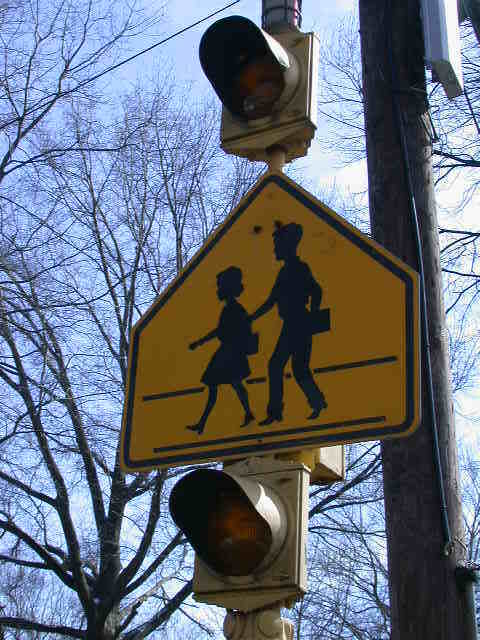 This is a copy of one of my lost images from the original NJSignals website; this older style School Crossing sign in Nutley is flanked by a pair of even older Crouse-Hinds Type D beacons. This photo was probably taken back in 2003 or so. I don’t know if it is still there. Another copy of a NJ Signals image, the finial-topped GE traffic light may be gone, but as far as I know, South Orange still maintains its 19th century gas lamps. I’d love it if they relied on the gas lamps alone. There’s enough ambient light in New Jersey that you could almost get away with it in many places.